Hoop Dance - Hoop Cubed- Hoop Dance Classes in Houston! When we were kids, we didn't exercise. At least, that's not what we called it. It was called playing, and it was done in the front yard, often with neighborhood kids. So why do we grow up and start "exercising" instead of playing? That's what hoop dance is. We take a child hood toy, make the right size for an adult, and do various hooping techniques to work out our whole bodies. And what else do we do? We lose 420 calories an hour (click here for more info on that), laugh and shriek and have a blast! Life is full of things we HAVE to do that we don't like, don't make working out one of them! Now, I bet I know what you're thinking. That you've tried using your child's hoop and it fell to the ground, despite the fact that you could keep it around your waist for hours as a kid. That's because you're using a hoop for a little body, not an adult one! What you need is a hoop that is larger and heavier, and lucky for you, I've got those for class. When you leave your first session, you WILL have that hoop swinging around your waist! So you're ready for your first hoop class, congrats! For some people, hooping changes their world and becomes a way of life, and for others it's just a workout. One thing is for sure though, it's FUN! Have you tried to hoop with a kid's hoop and couldn't do it? There's nothing wrong with you! We aren't the size we were as kids, the bigger the hoop, the easier it is. I provide adult sized hoops for class use, and have them for sale for home practice. Worried that you have no rhythm? You'll be shocked by just how much you've got when you're working to keep that hoop up. Hoop dance doesn't require any previous dance experience. Only an open mind! Afraid of high impact workouts? This is definitely for you then. Hoop dance is low impact/high cardio, and as someone with issues with one knee, I can tell you now that it's definitely doable. WARNING: this class will be fun. While I will obviously be giving instruction, I encourage you to try new things, to work with the other students. This is not a class where everyone shuts their mouths and does every single movement in unison with one another. This is a class where people are smiling and sweating! ONE MORE WARNING: You may get addicted. You may be exhausted afterward, yet the moment you get home you'll get in the backyard, wanting to nail that last trick. Soon your Pinterest boards will be filled with photos of hoopers, hoops you want, hoop clothes you want. Phrases like "back pick up", "duck in", and "isolations" will become part of your vocabulary. 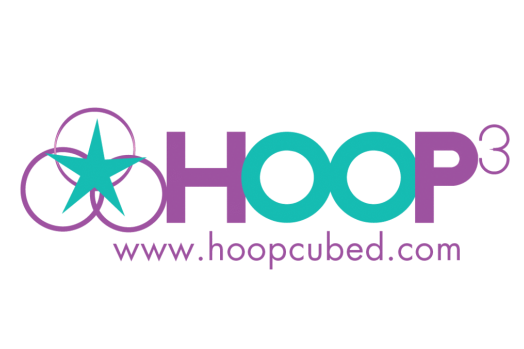 Instead of going to Facebook first in the morning, you'll go to hoopcity.ca and hooping.org. These are all normal side effects of hoop addiction! Make sure to wear comfortable clothes made of cotton, the hoop will slip off of anything synthetic. I recommend hooping barefoot or in Vibrams, but if you are more comfortable wearing sneakers, those can work too. Bring a bottle of water too!